Have researchers finally found proof of Goliath’s people? This archeological discovery may finally help scientists answer one of the greatest enigmas – who were the Philistines and where did they come from? The excavations, which lasted 30 years have resulted in a great find in Israel that can confirm the existence of one of the most mysterious people who appear in the Bible: the Philistines. To date little was known about the Philistines –famed arch enemies of the Ancient Isrealites—who flourished in the Mediterranean somewhere during the 12th century BC. Researchers knew very little about the way of life, customs, and their exact origin remained a mystery. In the Bible, the Philistines are described as arch enemies of Israel, a foreign people who settled in five major cities of Palestine, in the present territory of southern Israel and the Gaza Strip. 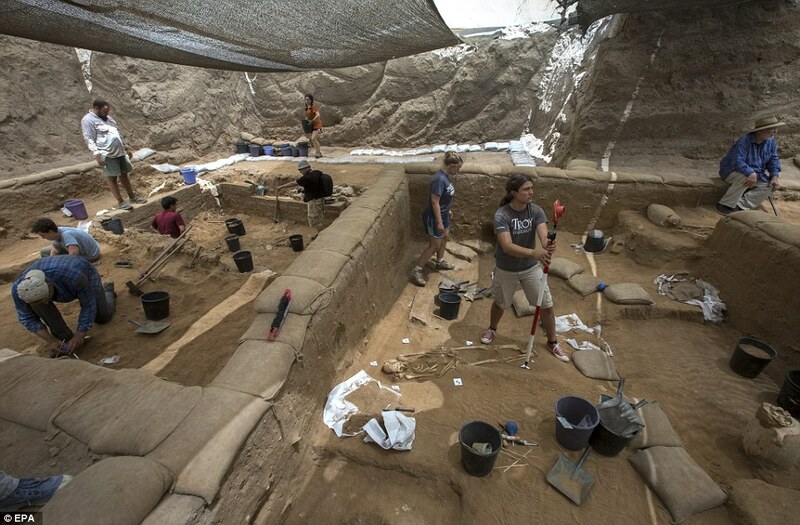 American archaeologists have discovered a Philistine cemetery with the remains of more than 200 people in the Israeli city of Ashkelon, reports The Times of Israel. The discovery of the first Philistine cemetery represents a great opportunity which will shed light on the most mysterious people mentioned in the Bible. Researchers point out that members of this Biblical nation were buried with their jewelry, perfumed essences and weapons, which will certainly help experts find out more about them. We may need to rethink today’s derogatory use of the word philistine, which refers to someone averse to culture and the arts, said archaeologist Lawrence Stager, who has led the Leon Levy Expedition to Ashkelon since 1985. ‘The Philistines have had some bad press, and this will dispel a lot of myths,’ Stager said.